Bandanas are making a comeback. It’s not sad, it’s actually quite exciting. Almost everything from way back is making a comeback and you’d wonder if the new generation is out of fashion ideas but remember that we have been urged to recycle :D.
In Nigeria, we are always very fast to key into the new trends and sometimes, we even over-do it sef. I mean, the phase of colour-blocking was a difficult one. 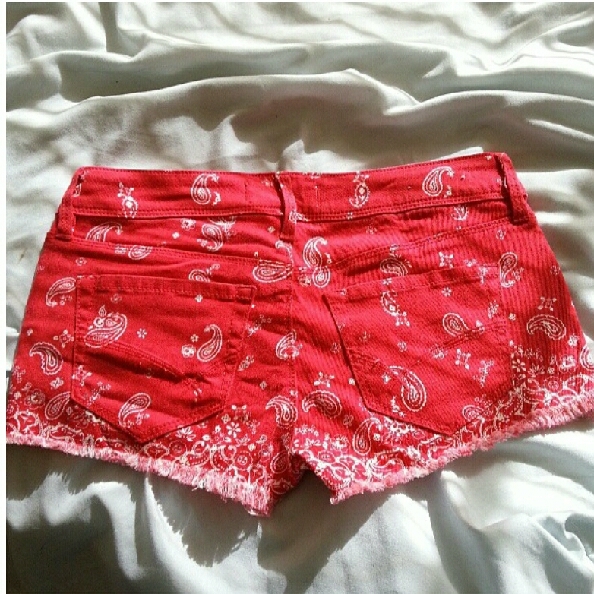 But we are on to the bandana prints now. Bandanas in the 80s and 90s were worn mostly as head bands if not only but now, the pattern is now used in t-shirts, shirts, sweaters and trousers. 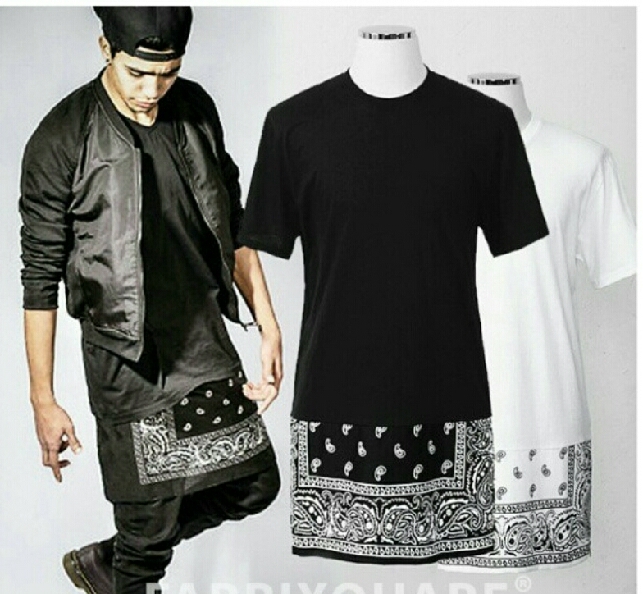 The trend that raises eyebrows now is the long t-shirt with the bandana tucked in at the back and front of the end of the t-shirt making it look like a t-shirt and a skirt. Some people call is “JALABANDA” or “Kanye’s dress” or “Bandana t-skirt”. 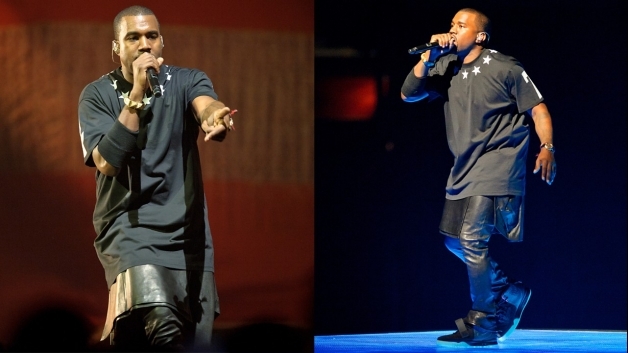 Kanye West wore a Givenchy skirt during the Watch the throne Concert sometime in 2012. I think that’s what widely influenced this style trend. 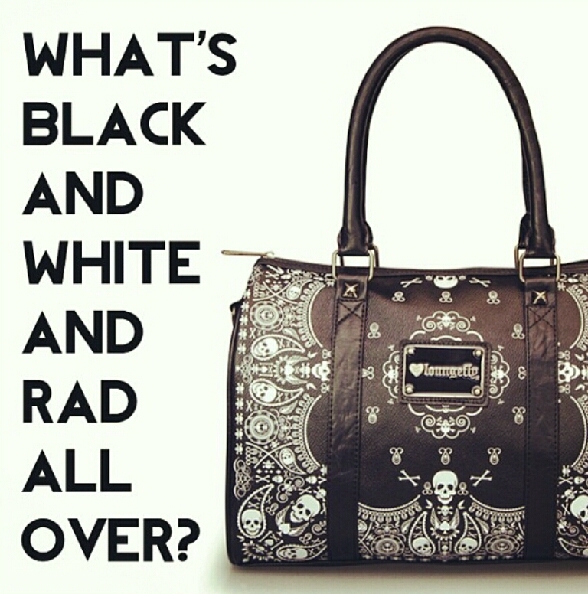 Personally, I think the bandana print is super! But the “T-skirt”, I’m not so psyched about. *Joseph Edet (LaShakara) : I think Nigerian Youths are now catching up to early trends. Before it took like two months for trends to get here but now, even in two days because of online shopping. The Jalabanada trend, I give it six months. I don’t think it’d last for long. The 3D shirts will last and have come to stay though. But for this other trend, it’ll fade out soon. *Monta: It’s cool but plenty fakes are going to spoil the cool from the original. *Akay Brizzle: a lot of people actually go for what is trending and not what fits them. The Jalabandana is lovely but it doesn’t work for me. So I’d never be caught wearing that. It is everywhere right now, with knock-offs here and there. Only a couple of people look good in it. 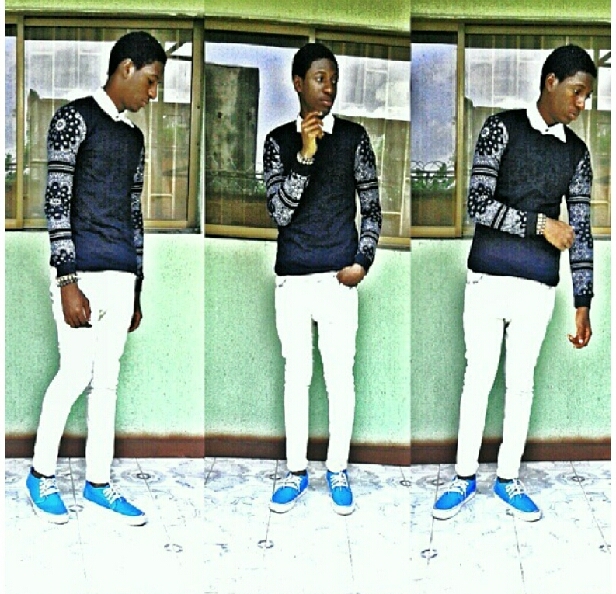 *Roby Ekpo: it’s a stupid trend. I don’t like it. Only music stars can wear it. And even then, the Nigerian artistes that would wear it aren’t much. If given as a gift, I’d pass. So, if you have to join the bandana print band wagon, wear it right. don’t go ‘extra’ on it unless you’re a performer. Always remember that your style is you. Because it’s in vogue doesn’t mean it’s for you. it can only be if you make it. 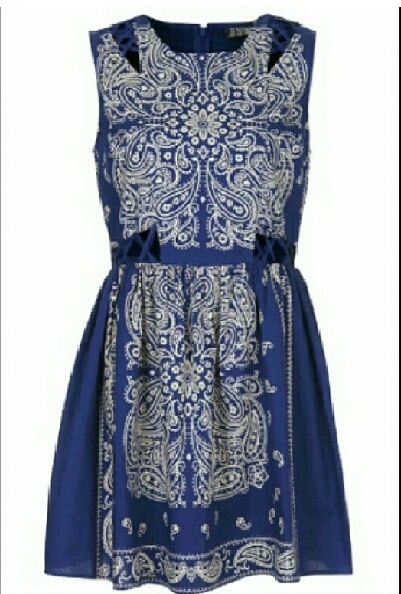 The Bandana Print has definitely earned a comfortable seat in the Style Trend of 2013. What next? Graphic Tees? Yep! onnit! 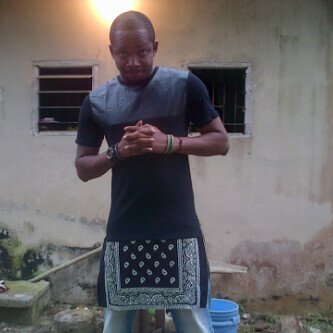 This entry was posted in Rate My Style and tagged Bandana prints, Fashion., fashion2013, Fun, male fashoin, passion, pictures, T-skirt, watch this space!!!!. Bookmark the permalink. Hi Anon, you should probably win an award. you always comment first..:). Yay you! The cutie… hmmmm… it was a random IG pic tho. :). 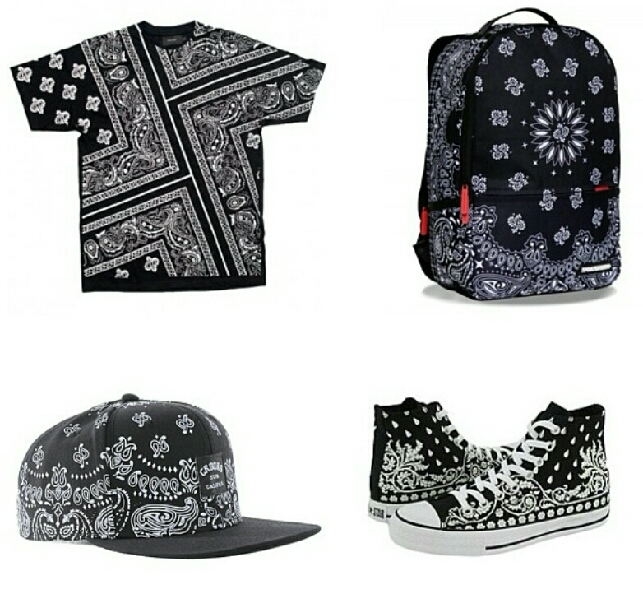 I wud so rock a black bandana t-skirt anyday ……(An orignial one ).